I love cooking, and with three young kids I am practically always cooking!, they are not the type of soup eaters, but I miss the lovely feeling that soups give you, I even look forward to the cold days so I can have some soup!, anyway, I made this which was really really tasty and I thought of you! 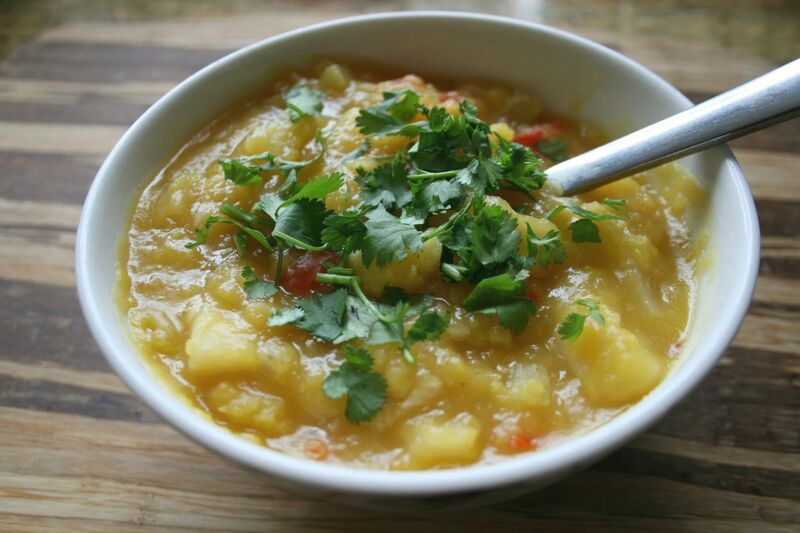 Spicy parsnip and pumpkin soup… mmmm…. Okay first things first, they way I cook is I open my fridge, see what is there and I put a meal together, so this is what I had that day. I fried the garlic until the house smell of it 🙂 then added all the chopped bits and the spices, peeled the pumpkin and scoop it into the pan, cover with water, bring to the boiling point and then let it simmer until the vegetables where soft, add some more spices if it need it and that was it!. Well no… I added some chopped coriander to my bow cos I love the stuff! Next articleHalloween costume and a 1 hour cowl, both on sale this weekend and only $3 each!